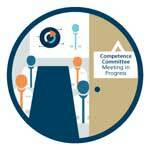 With Competence by Design (CBD), we introduce the important concept of a competence committee. 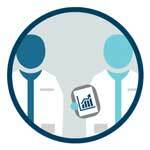 The competence committee makes decisions and recommendations using highly integrative data from multiple EPA and milestone observations, as well as feedback from clinical practice. A competence committee allows for an informed group decision-making process where patterns of performance can be collated to reveal a broad picture of a resident’s progression toward competence. A regular review of residents’ progress facilitates a developmental approach, supporting resident learning over time. Competence committees also help identify residents who are not meeting their milestones, and can help to arrange support and coaching for the resident before the resident gets too far off their trajectory. This support can mean, for example, assigning special mentors, extra readings or modified rotations. In CBD, promotion recommendations are made by the competence committee away from the individual teacher-learner interactions. By shifting broader promotion discussions to the competence committee, interactions between individual residents and observers can focus on coaching feedback to help improve residents’ performance (i.e. assessment for learning). For guidance on setting up and piloting a competence committee, check out the "Set up a Competence Committee" module in the CBD for Program Directors resource. The primary role of the clinical supervisor is to provide coaching and formative feedback which is documented as a low-stakes observation of the trainee’s performance. The competence committee synthesizes the data from many low-stakes observations for each trainee and makes recommendations related to promotion (or progress). There is no single way to set-up and run a competence committee. Different contexts and cultures within programs and institutions mean that there is no one-size fits all approach. A small program may have one competence committee whereas a large program may have multiple competence committees (e.g., according to stage of training or site). For CBD, the terms of reference and procedures for the competence committee are determined at a faculty/program level with guidance from the Royal College. VIDEO (01:45) What is a Competence Committee? VIDEO (01:05) What is the goal/mandate of a Competence Committee? VIDEO (02:42) What can one do to help ease the transition to Competence By Design? VIDEO (01:56) What is the workload like for a Competence Committee member? VIDEO (01:17) How is information stored in programs? VIDEO (03:08) CBD benchmarks – How are we doing? VIDEO (02:24) How does a competence committee decide to promote a resident? VIDEO (01:23) What does a Competence Committee do with the aggregate data?